Corpus Christi Garage Door Repair services Aransas Pass, TX and the surrounding communities for all their garage door repair and installation needs for both residential and commercial customers. We can repair or replace just about any part of your garage door, but at a certain point investing in a new door just makes more sense, both financially and for convenience’s sake. Here’s a few reasons to consider before replacing your current garage door. So, maybe the new driver in your home had a little accident with your door, or windy weather threw a tree branch into it? Even temperature fluctuations can warp or disfigure your door. Garage doors are tough, but life-shortening damage can happen for any number of strange and unexpected reasons. Our team is happy to replace or repair parts of a door, so call us to check out the extent of the damage. Unfortunately, sometimes time and wear could beat up your door enough to compromise its functionality. If something has significantly damaged your door, sometimes the best recourse is to replace it entirely. 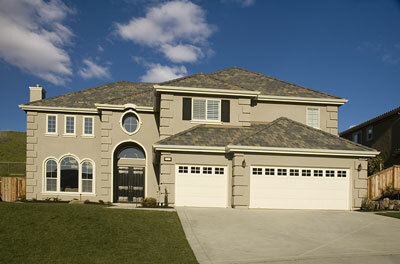 In addition to damage, curb appeal is another factor to considering when thinking about installing a new garage door. Peeling and cracking paint, warping, sagging, bent sections, or flopping unattached rubber seals can all make your garage door look worn and outdated. And when your garage door looks worn and outdated, your home ends up looking worn and outdated. The average garage door opens and closes 1500 times a year. Over time, this heavy use starts to show. Over a long enough period, constant use can even affect how your door works. A new door wouldn’t just work great; it would look great too. These days, there are hundreds of garage door and accessory choices, too. You can choose the style and functionality that works perfectly for you. Think about your community. Every neighborhood has one: the house with has the amazing new exterior paint job, impressive landscaping—and a bland, old, mismatched garage door. 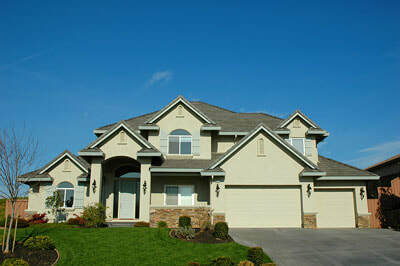 The average garage door takes up 30 to 50 percent of a home’s exterior. Don’t underestimate what a difference a new garage door could make in improving your home’s resale value. When looking at overall curb appeal, studies repeatedly find that replacing the garage door gives one of the highest returns on investment. Countless options for door style, color, material, windows, and other hardware or accessories mean that a new door can be completely customized. You get the look, style, and functionality that’s right for your home. ​In the end, if your door’s isn’t working the way it should, have a one of our trained technicians at Corpus Christi Garage Door Repair come to diagnose the problem. Our professionals will let you know if your door poses a safety risk or cannot be repaired in an acceptable way. Once we’ve identified the problem, those same techs can fix it. They’re even prepared to help you set up a free consultation to look at new door options.